I'll admit it. 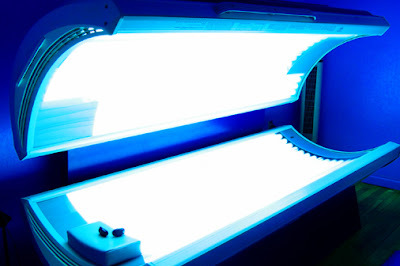 I used to be one of the first ones to jump into a tanning bed as soon as my skin dropped below the optimal tan. I loved that 20 minutes in the bed, but I really loved my perfect tan. Nowadays, people make fun of me because I do some strange things to protect my skin. 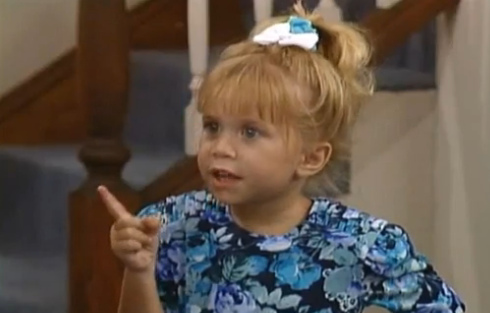 But I just say to them, whatever dude (The almost Michelle Tanner catchphrase). While I may go to some extreme lengths, protecting your skin is important. And staying out of tanning beds is the first step to doing that. First you need to know that any tan, whether from a bed or from the sun, is actually your skin being damaged on the cellular level. Both UVA and UVB rays are harmful. The Vitamin D that your body needs is somewhere around the equivalent of standing in the sun for 10 minutes. You're actually 74% more likely to develop melanoma (aka skin cancer) than someone who has never used a tanning bed. Isn't that last bullet point enough? I'm not saying that you should never go in the sun again. I love to lie out by the pool as much as the next girl. Just be careful about it. Make sure you sunscreen has protection against UVA and UVB rays. And for goodness sakes, stay out of those tanning beds! I'm pretty sure the recent news story about the lady who way over tans and even took her child into the tanning booth with her, Is enough to scare even the most die hard tanner. If the Surgeon General had used that kind of image for it's "cigarettes cause cancer campaign", the results would have been much more effective. I'm a tanner, but that Lady's face has cured me of ever stepping foot into a tanning bed again. I will get may tan the old fashioned way. The sun. And some vitamin D as well. I will still use some sunscreen just to make my family happy. uses simple organic solutions to control and eradicate acne symptoms completely.